Having a well-maintained chimney for your fireplace can do more than prevent accidental fires. A clean and structurally sound fireplace can also help protect you and your family’s health. If you are looking for your chimney inspected, turn to Chimney Wizard Sweeps Inc. in Apex, NC for a condition report. We also offer repairs for various types of chimneys, including masonry, prefabricated, and wood stoves as well as installation solutions for wood stoves, chase covers, chimney caps, and more. Chimney Wizard is also a water proof expert. Since 1981 Chimney Wizard Sweeps Inc has been the chimney cleaning / sweeping company for Raleigh, Apex, Cary, Pittsboro and all the Triangle. We are now expanding to serve more of the Fayetteville area. Our chimney cleaning / chimney sweeping is thorough and mess free. With every chimney clean you will receive a free visual inspection. Chimney Wizard also offers a professional ChimCam chimney camera inspection. Chimney cleaning / sweeping and inspecting is vital to keeping you safe from dangerous creosote buildup. These buildups can cause chimney fires. Prevent a chimney fire by having Chimney Wizard Sweeps Inc provide you with a professional chimney sweep / chimney clean. Give us a call we look forward to providing you top notch professional service. Experience is a major key in providing the knowledge and expertise you should require when you hire a professional chimney sweep. Chimney Wizard is your chimney expert Sanford, Cameron and Fayetteville. 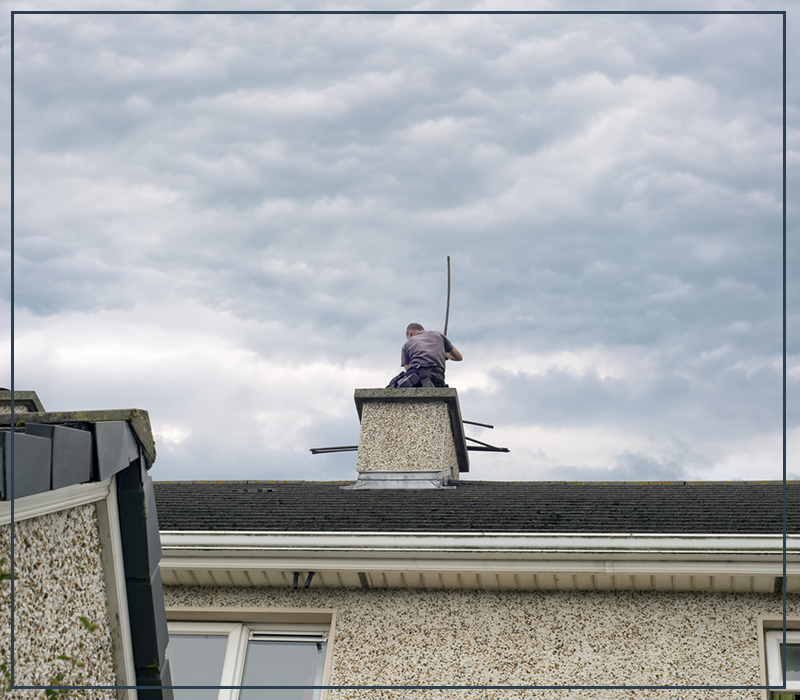 For more than 35 years, we have been providing safe and cost-effective chimney cleaning, condition reports, installation, waterproofing, and repairing services to clients in and around the area. Our chimney sweeps are trained to use top-of-the-line Chim Scan chimney cameras and only use top-rated, UL-listed chimney materials. We will also explain our processes so you can gain a better understanding of how to maintain your fireplace. Chimney Wizard is at the top of the game when it comes to professional installation of all types of wood stoves. Woodstoves provide a type of heating for your home like no other. Top of the line materials are used in your woodstove installation to insure your woodstove preforms at its best. Chimney Wizard has been installing wood stoves since 1981. Experience and professionalism is what you will receive when dealing with Chimney Wizard. Talk to Chimney Wizard about installing a woodstove in your home today. Click to edit text. What do visitors to your website need to know about you and your business? Even if you do not use your chimney often, wild animals such as birds or squirrels may have been using it as a nesting place. Make sure to have your chimney swept and get a condition report before you use it. Let Chimney Wizard sweeps give you peace of mind knowing a professional has serviced your chimney. Get in touch with us today at 919-362-9260. We look forward to providing you with exceptional chimney cleaning services.